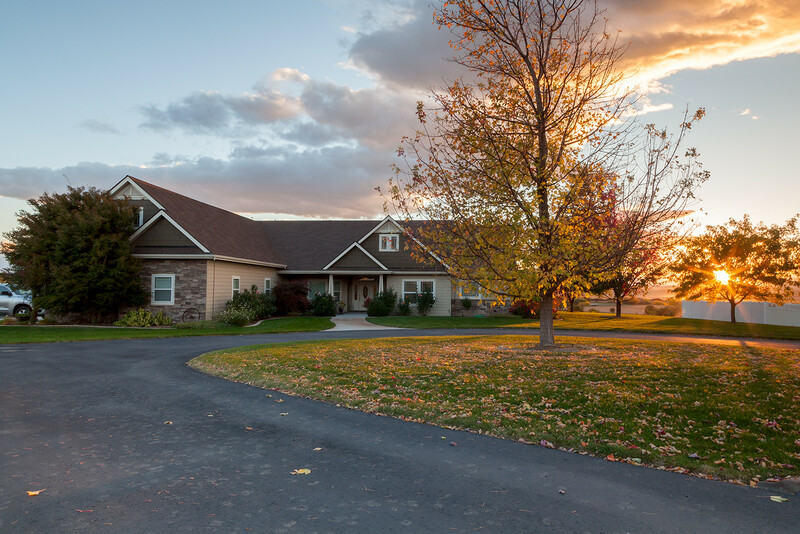 Beautiful custom home with a MILLION DOLLAR VIEW on acreage in desirable neighborhood!!! – Enter this property on the large asphalt driveway with round about. – Stamped concrete front & back covered porches with VIEWS and ceiling fans in back. – Hardy siding for low maintenance, with rocked accents on exterior. – Professional, mature landscaping with curbing. – Oversized 3 car garage attached to home, plus a detached garage and shop combo. – Security system in place. – 2 high quality HVAC systems with several controls throughout the home for your comfort! – Front office with custom cut glass feature above double door entrance. – Central vacuum for easy clean up. – Lindsay water purifier system. – 2 water heaters so you’ll never run out! – Large storage room off garage. – Great room, kitchen, dining room and sun room on west side of house with a VIEW from each room! – Wide oak hardwood flooring in entry, halls, kitchen and dining rooms. – Build in custom hickory book shelves in Great Room. – Rocked face GAS fireplace with a thermostat for customized comfort. 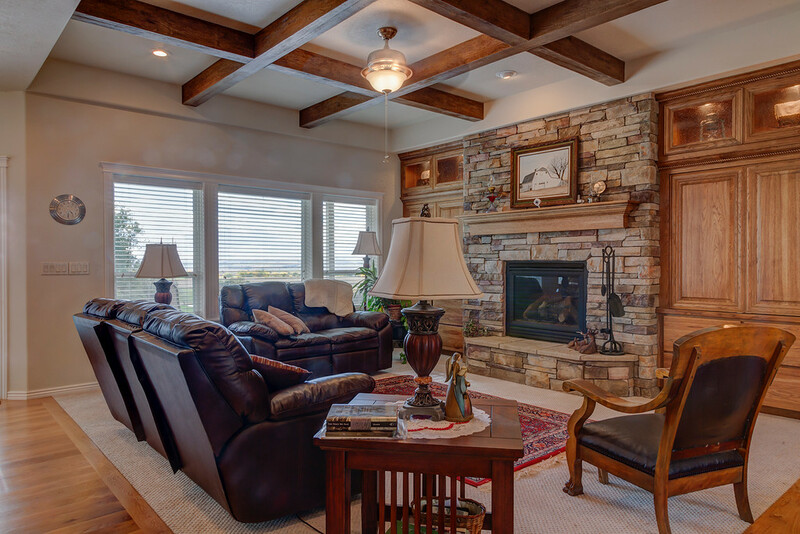 – Custom hickory fireplace surround with book shelves, storage, custom lights above, and place for your TV to be displayed and neatly put out of sight. – Recessed Lights, custom lighting, and ceiling fans throughout. – Multiple storage closets throughout home for extra storage. – 4 Bedrooms with a bonus above the garage. Bonus has door, closet and bathroom; could be used as a bedroom or play room! – Tons of custom hickory cabinets on BOTH sides of this large laundry room. – Space for your extra fridge or freezer. – Built in ironing board. – Sink for easy clean up. – Hanging rod close to dryer for easy hang up. – Plus a storage closet. – Tons of custom hickory cabinets. – Included Refrigerator and Dishwasher. – Built in oven, and microwave. – GAS cook top with custom hickory hood. – Large corner pantry, with glass door. – Beautiful Corian type counter tops with custom tile back-splash. – Master on main level with high ceilings, custom inset lighting and a ceiling fan. – Private exterior door leading to back porch, with glass center for the VIEW! – His and Hers closets. – Custom hickory cabinets and shelving. – Walk in jetted tub with window above and great view. – Beautiful solid surface large custom shower with rain shower head. 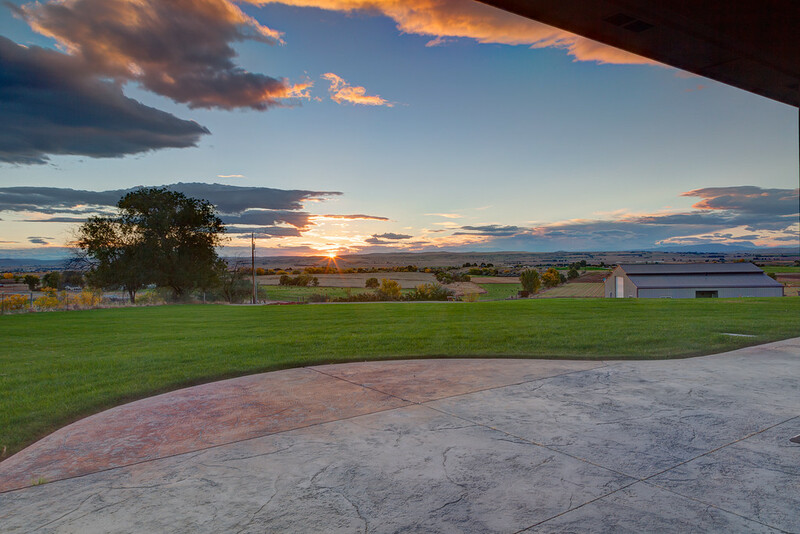 Qualified Buyers: Schedule a Walk Through, Call 208-244-8505 or Get Qualified! 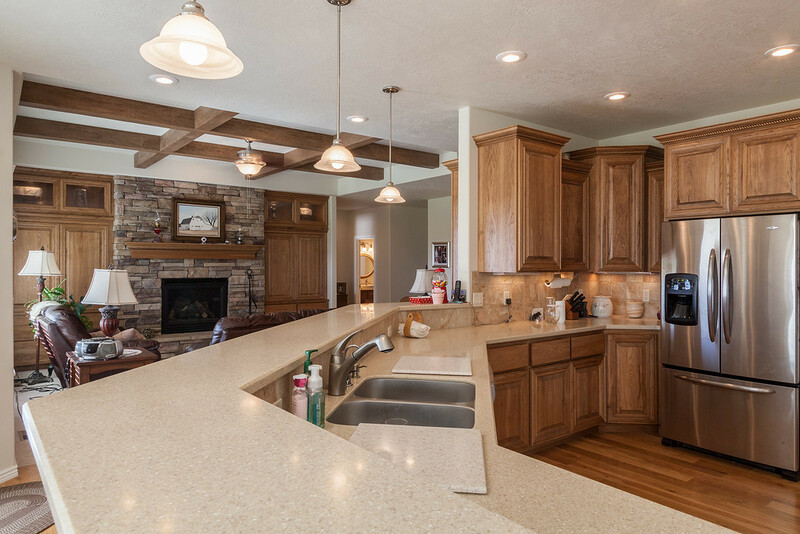 Filed Under: Featured, Fruitland Real Estate Tagged With: 4941 Eagle View Ct.